Hundreds of supporters carrying welcome signs were waiting at Melbourne Airport as Al-Araibi arrived on a commercial flight direct from Thailand following his three-month detention in Bangkok while on honeymoon. 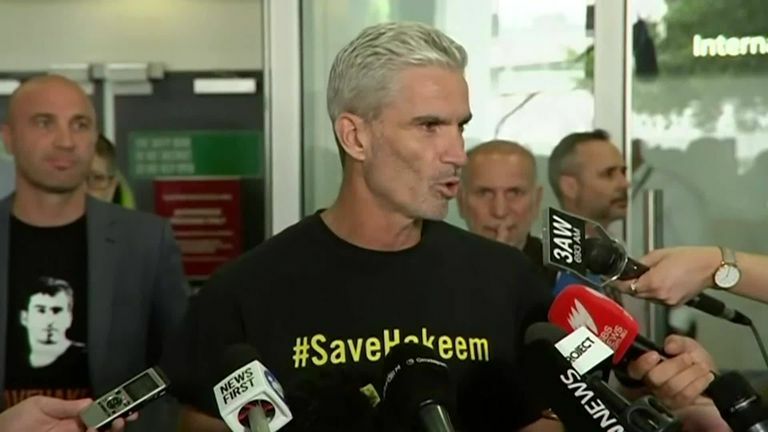 Former Australia captain Craig Foster has been leading the campaign for Mr Al-Araibi's release, who had been the subject of an extradition request to Bahrain where he faces a ten-year prison sentence for an alleged arson attack that damaged a police station. Al-Araibi has always denied the charges, maintaining the case against him is politically motivated. On arrival in Melbourne, Al-Araibi said: "I would like to say thanks to Australia. Thailand had come under great pressure from Australia's government, sporting bodies and human rights groups to send Mr former Bahrain captain Al-Araibi back to Australia, where he has refugee status and plays semi-professional football for Pascoe Vale. "So this is the man, probably the most famous young man in Australia right now," Foster said. Prime Minister Scott Morrison, who wrote twice to his Thai counterpart Prayuth Chan-ocha in a bid to secure Mr al-Araibi's freedom, thanked Australians as well as Thai authorities.